UCX00 Series Inch Bore Bearing Insert Universal Bearings Company UBC are a variation of our standard Radial Ball Bearings which have been modified to fit easily into various types of Mounted Unit Housings and Pillow Blocks. 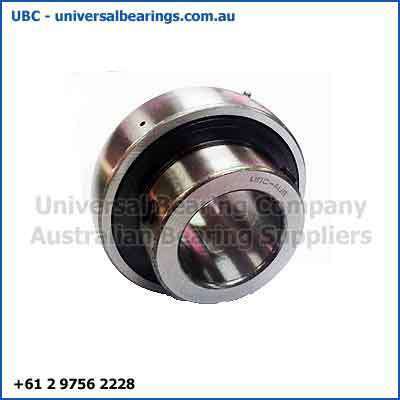 VNC Insert Bearings are supplied with the complete housing however replacement bearings can be purchased separately. 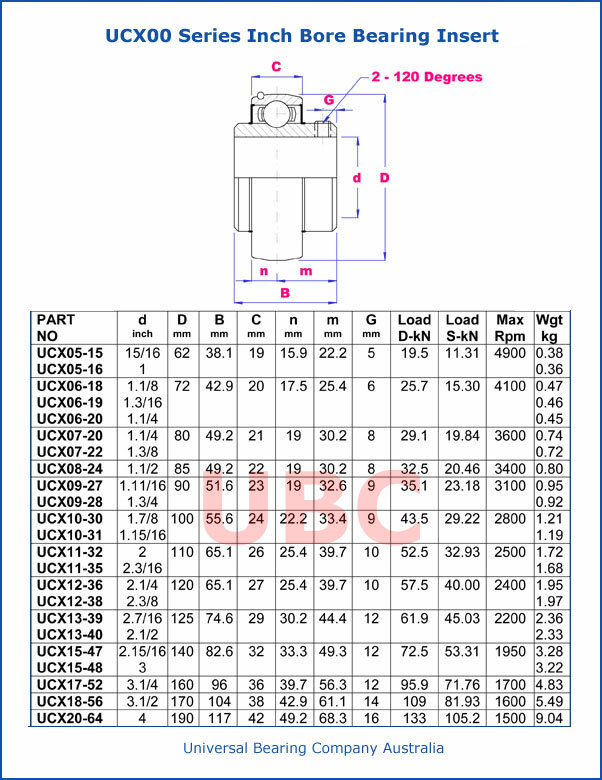 UCX00 Series Inch Bore Bearing Insert are mounted to the shaft by using a Set Screw type locking collar. This eliminates the requirement of pressing the bearing onto a machined shaft and the need for special installation tools. The self-aligning design helps compensate for alignment errors and the flexing of the shaft.